On your arrival at Bagdogra airport , we will take you to Darjeeling (7100 ft). 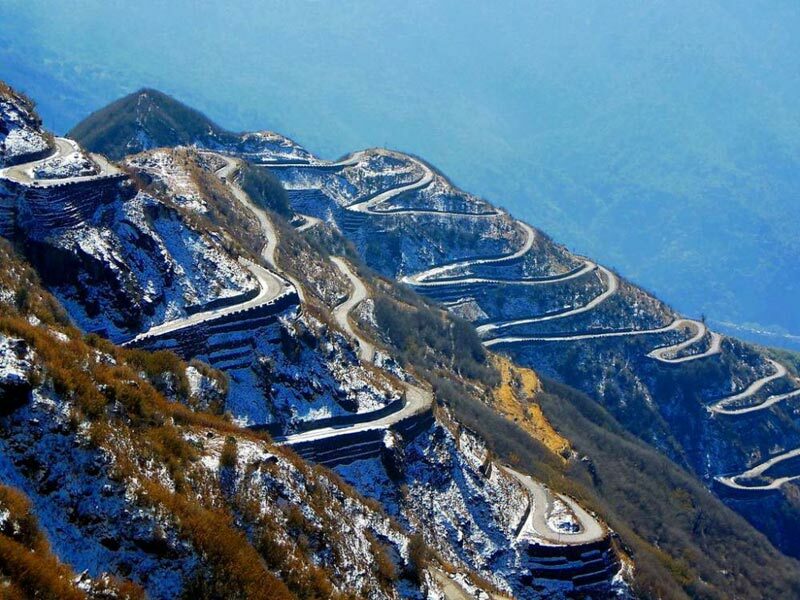 You will be delighted with the "Queen of the hills" and you might even feel a thunderbolt within you, as you feel relaxed with a kind of unique experience of mesmerizing view of the hills all along the sides of the road stretching about 90 km / 3.5 hours of your journey up the hill to Darjeeling. On arrival at Darjeeling, enjoy the cool stay at the hotel room for charging up yourself for the next day. 'Sun and Moon never wait for us'- So your sight seeing starts pretty early at 3.30 am for a spectacular sunrise at Tiger Hill, the majestic Kunchenjunga range and the Everest peak that would never go from your memory. 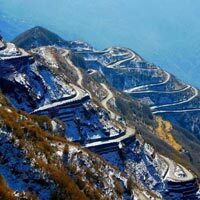 Tiger Hill is the highest mountain point at Darjeeling. On the way back, a visit at Ghoom Monastery (ESTD. in 1875) and the Gorkha war memorial would be a different experience. Batasia Loop and beautiful gardens around it would exalt the coexistence of the nature and the technology. Batasia Loop is the ancient technology to adjust the deep height/slope of the hill railway track for the smooth running of the trains. After breakfast at the hotel, you would proceed for sightseeing at various spots like the Himalayan Mountaineering Institute, the Zoo, Tenzing Rock, Labong Race Course, Tea Gardens, Rock garden, Ganga Maya Park, etc. Don't forget to pen down the marvelous thoughts for a nostalgic future before going to bed back in the hotel. To visit the above places the visitor must get valid pass from Sikkim police and tourism dept. So, to help us to arrange these passes, you have to submit with us copies of ID –proof and recent passport size photographs. Also carry sufficient winter cloths, like sweater, jackets, winter head and ear gears, etc. In the morning after breakfast, you would leave for Bagdogra Airport to board flight for onward destinations. As you go home let the evergreen memory of 'Mystic Himalayan Kingdom' linger in your mind and the holiness of Sikkim will arouse a nostalgic feeling prompting your mind that a few more days should have been spent there. We are sure that you would resolve to visit the place again at an earliest opportunity.